A user guide for Google Android Ice Cream Sandwich update on the Samsung Galaxy S2 has been released. Although Samsung Galaxy S2 owners are still waiting to get their taste of the Maxibon of the OS world, Samsung has produced a guide to highlight the main changes when upgrading from Gingerbread. Available as a PDF file from Cool Smartphone, the guide appears to be aimed at Samsung reps so that they can give customers advice on the update process and make the transition between versions less confusing. There's some pretty dry, corporate PowerPoint type stuff in there, but also some helpful tips like how to do a screen grab in ICS. In case you're wondering, it's now a case of holding down the Volume Down and Power buttons together. Samsung originally promised that the ICS update for Galaxy S2 would arrive on 10 March, but that has clearly been and gone. The company eventually released the update on 19 March, so now it's just a case of waiting for it to filter through the individual networks. 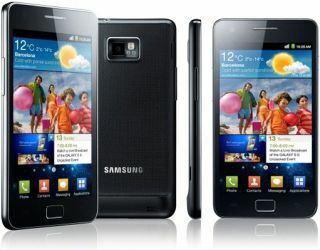 Three is the first to offer the update, but keep an eye on Tech Radar's Samsung Galaxy S2 Ice Cream Sandwich update: when will I get it? feature which will be kept up to date with the latest. As it says in the guide (and our feature), the update isn't available over the air so won't appear when you check for updates on the handset – instead you'll need to plug your handset into a computer and use Samsung's Kies software.